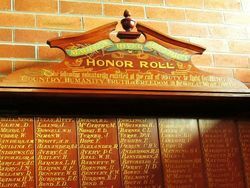 A wooden honour roll commemorates those from the district who enlisted in World War One. "On the altar of their Country's good they laid the increase of their fortunes and their lives." 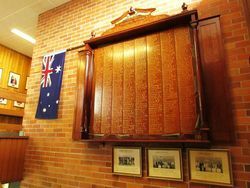 Thus read the text above the Municipal Honour Board in Smith-street on Anzac afternoon when several thousand folk assembled from far and near to witness the unveiling. The Board presents a cedar surface of over thirty-six square feet and contains 421 names, and 90 odd yet to be added. Mayor C. A. Lane, in touching speech reviewed the circumstances leading up to this occasion, and asked all eligibles to seriously reach their hearts to see if their duty did not bring them to khaki. The Hon. J. 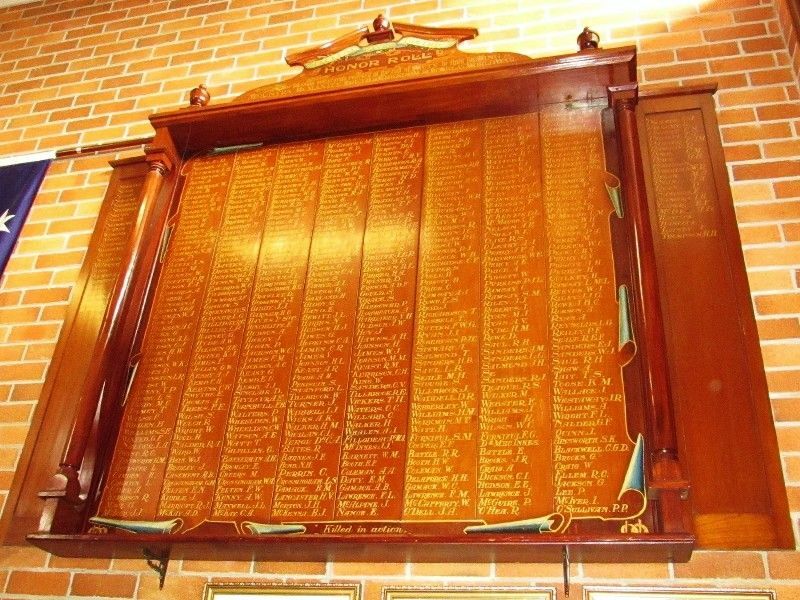 D Fitzgerald talked in considerable length, and spoke in appreciative terms of the Macleay district's fine record as shown by the Honour Board that day, eighty-three fine lads having made the last sacrifice. Mr. Fitzgerald then introduced Mrs. Joseph Simon, a sister of Ald. William O`Meara, and the mother of the first Macleay soldier to lose his life on active service in the war. 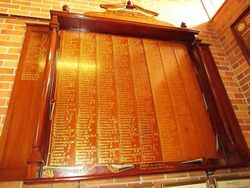 He would ask Mrs Simon to unveil the Honour Board. The Macleay Chronicle (Kempsey, NSW), 1 May 1918. The following voluntarily enlisted at the call of DUTY to fight for KING & COUNTRY, HUMANITY, TRUTH & FREEDOM , in the GREAT WORLD WAR.